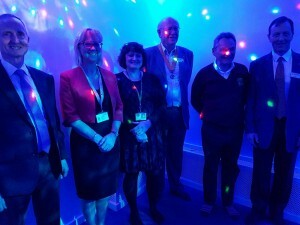 The Rotary Club of Wolverton & Stony Stratford and KidsOut have together worked on a project to fund and provide a sensory room for Walnuts Care, a registered charity based in Galley Hill, Stony Stratford. Jerry Aldous, Manager of Walnuts Care, welcomed guests at the official Phyzzpod opening on 16th January 2017, with Milton Keynes Councillor Zoe Nolan performing the opening ceremony. KidsOut staff Gordon Moulds, CEO, and Sandra Doherty, Head of Children’s Services, also attended, along with Tom Green, Vice-President of Wolverton & Stony Stratford Rotary Club. 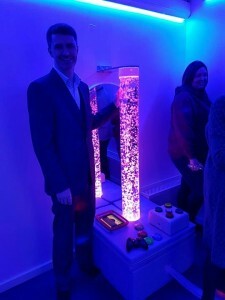 A demonstration of the sensory room’s capabilities was also provided by Mark Hildred of Apollo Ensemble. The total budget cost was £18,000 which comprised £6,000 for building adaptation works and £12,000 for equipment costs. 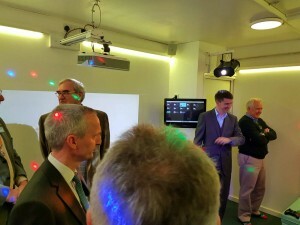 Wolverton & Stony Stratford Rotary Club has funded half of the equipment costs (£6,000) and made a contribution of £1,000 towards the room fit-out costs. KidsOut made similar contributions. Local alternatives for young people on the autistic spectrum, of school-leaving age, are very limited. Walnuts Care and Milton Keynes College of Further Education have together created Walnuts College. The College is an educational provision (for a maximum of three years) for school-leavers with social, communication, sensory and interaction difficulties and who cannot access mainstream college. Delivery is provided by specialists within the field of autism who are either seconded from The Walnuts School or directly employed by Walnuts Care. Milton Keynes Council has recognised the need for Walnuts College and commissions its services. Currently, ten adults are supported in College. To address the current shortage of suitable provision Walnuts Care provides 1 to 1, or 2 to 1, personalised care accessible at weekends, evenings and/or holiday times. 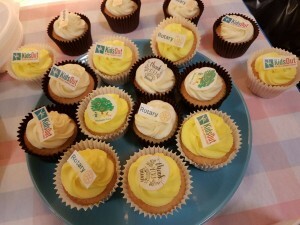 Care involves running community sessions or accessing local clubs. The rapid growth being witnessed is a reflection of the local need for children to be supported in an ‘out-of-hours’ context. The sensory room will enable Walnuts Care to help meet this need and expand opportunities for those in need of support. Currently 81 children from 78 families receive personal care. 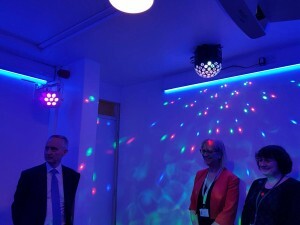 The new sensory room will bring many benefits to a wide range of individuals of all ages, in particular those who have autism. Individuals on the autistic spectrum usually have distinct sensory profiles, usually having heightened (hyper) awareness or low (hypo) sensory thresholds. Both these groups will benefit from the sensory room experience. Those with hyper awareness will be able to benefit from the stimulation of all their senses, not only their heightened sense e.g. a person with very sensitive hearing can address this by visual stimulation rather than sound; they can also work on their personal sensory threshold, so increasing their acceptance of normal levels of everyday exposure to stimulus. Those with low sensory thresholds will be able to experience sensory input at a heightened level so hopefully reducing any behaviours that they have developed to enhance their sensory experience e.g. rocking or flapping. Individuals on the autistic spectrum have social and communication difficulties; any enjoyable experience such as the sensory room will encourage language, expression and social interaction in a natural unforced way. Talking about and sharing good experiences is much easier than more boring or everyday events. 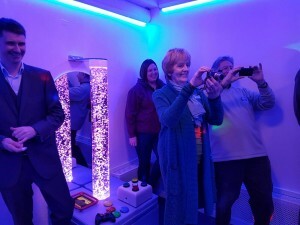 The sensory area can be set up to tailor the experience to individuals or groups, to match interests and passions, to remind individuals of trips / visits etc. they have had or prepare for those that are planned, and/or reflect the curriculum. For example, a planned visit to the zoo can be reflected in the sensory experience before and after the visit, thereby enhancing language, recall and preparing individuals for their visit. Individuals on the autistic spectrum are sometimes said to lack imagination, especially children whose play can be very regimented (repeating the same activity again and again). The opportunities available through use of the sensory room will give very valuable imaginative stimulus which should lead to more imaginative play. 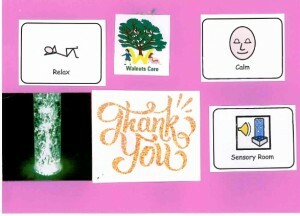 In summary, the sensory room will enhance the lives of all users and will give teachers and carers opportunities to improve their teaching / support of all their students / clients; this is especially important for those on the autistic spectrum who often have limited pleasurable experiences because of their personal anxieties and limited conversation and social skills.